Our range of products include desk top calendar, office table calendar, printed table calendar, table calendar and desktop calendar. 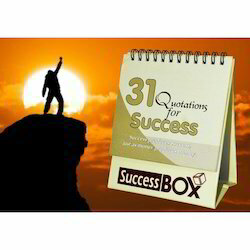 Being a quality centric firm, we design the superior most collection of Desk Calendar in various designs and patterns. They are supplied to different sectors in huge bulk. These are designed with glossy papers and big spirals with perfect finishing. These promotional pieces can be personalized as per the requirements of our clients. They are economical and available in various colors. We offer the best collection of Office Table Calendar in attractive market ranges. These stylish calendars are available in various patterns for corporate, retails and fund raising firms. These designer calendars are unique and processed with expensive materials which are sourced from certified vendors. The paper quality and glossy finish makes them highly demand able in the market. We introduce ourselves as an eminent name engaged in offering high quality Printed Table Calendar that is highly applauded by the clients for its elegant look and unique pattern. 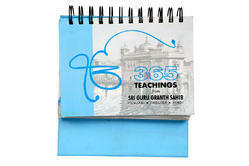 This table calendar is widely used for the gifting purpose. 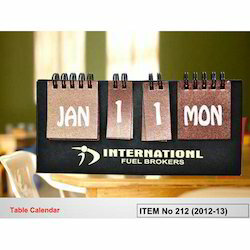 The offered table calendar is made available in various designs and sizes to suit demands of customers. Also, we are giving this table calendar to customers within a given time frame at affordable price. 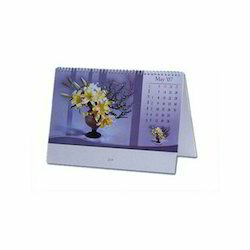 We are manufacturer of Table Calendar and customised as per youur requirement. We are manufacturer of Desktop Calendar.